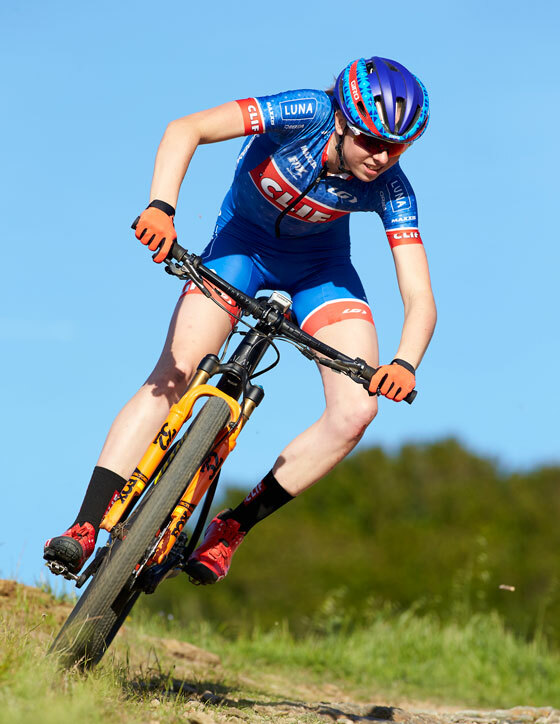 Professional mountain biker Haley Batten is glad she doesn’t have to miss high school graduation next month for the first World Cup Mountain bike race of the season. 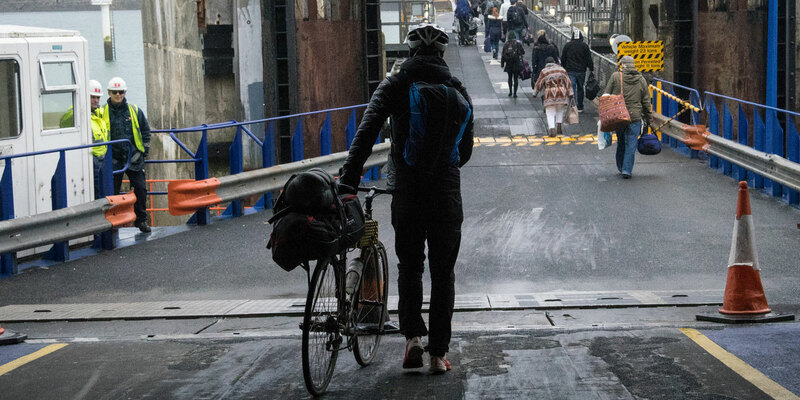 And when she heads off to Vancouver’s Quest University in the fall, she hopes she’ll have to figure out the logistics of missing some of her freshman year to travel to Australia for the Cairns UCI World-Championships. (Nationals are in July.) It’s a juggling act unique to young professional athletes, and one Batten’s happy to take on. “I’m lucky how everything’s lined up,” she says. But for Batten, and fellow Under-23-category pro mountain biker Hannah Rae Finchamp, success isn’t a byproduct of luck. The two young cross country riders both burst onto the mountain bike scene years ago with raw, natural talent, but also with determination, a strong work ethic, and a love for the fun and community of their sport…and an involvement in the National Interscholastic Cycling Association known as NICA. 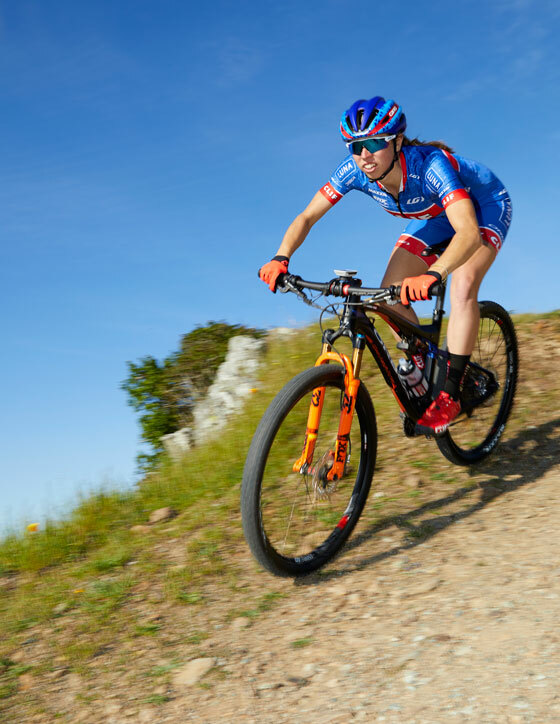 Batten’s parents are both heavily involved in mountain biking—her dad raced often, and to this day, is Batten’s main “ace bike mechanic,” and her mom still rides a lot. Her mom helped bring NICA to her Park City High School, and Batten raced through NICA her freshman year before turning her focus to the pro season. Finchamp found the sport through a booth at a running race. She ran a 5K at 9 years old, saw a sign for a triathlon camp and asked her mom to sign her up…which lead to 10 years racing XTERRA off-road triathlons and hammering the hefty mountain bike legs sandwiched between swimming and trail running. Though NICA had started in Finchamp’s area of Pasadena, California, her high school didn’t have a team until her senior year. Finchamp raced on a composite team, and says she met lots of friends from other schools. Both girls credit NICA for fostering their talents, and for introducing so many kids to the sport. Founded in 2009, NICA’s mission is of creating “a future where every American youth has the opportunity to build strong bodies, mind and character through interscholastic mountain biking.” (NICA’s vision is to bring high school mountain biking coast to coast by 2020.) Finchamp raves about the NICA community. After racing amongst, and hanging out with mostly age-groupers in their 20s and 30s at XTERRA events through her early teen years, Finchamp says she was thrilled to be among people her own age through NICA. 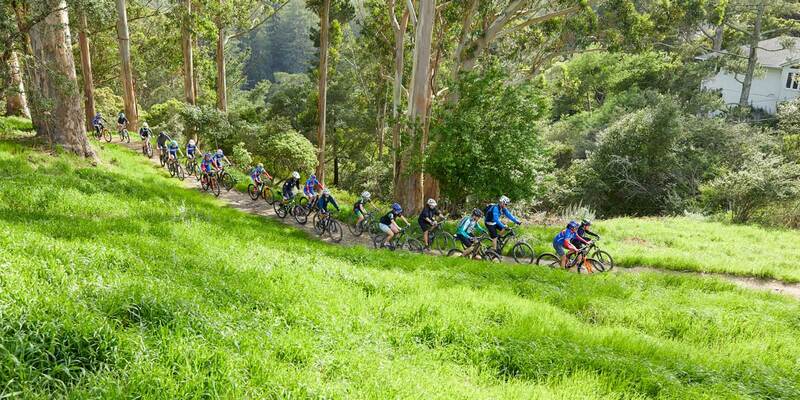 NICA has seen incredible growth in numbers across the country since its inception in 2009, a testament to a well-run program whose founders were right in thinking high schoolers wanted an organized, coached, and competitive way to hit the dirt on bike. 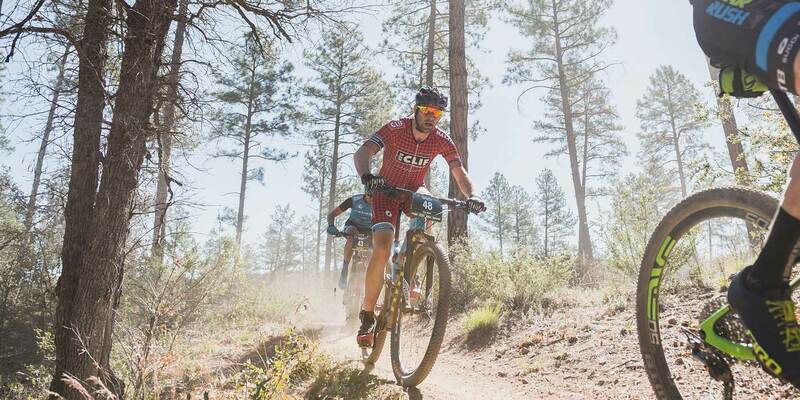 And while both Batten and Finchamp have soared into professional mountain biking from their NICA days, the NICA program is for every rider, at every level. Finchamp, like Batten, somehow manages a full-time racing career—with a collegiate cross country mountain bike season, an elite cyclocross season, and a pro mountain bike season—as a full-time student. She’s double-majoring at Missouri’s Lindenwood University, on track to graduate in four years despite being told she’d need five. “I’m determined,” she says. Strong body, mind and character? Check, check and check.